Hi there! Happy Thursday to you! I'm stopping in today to share another card I made with a beautiful Dies Set from the new Vintage Treasures Collection by Amazing Paper Grace for Spellbinders. 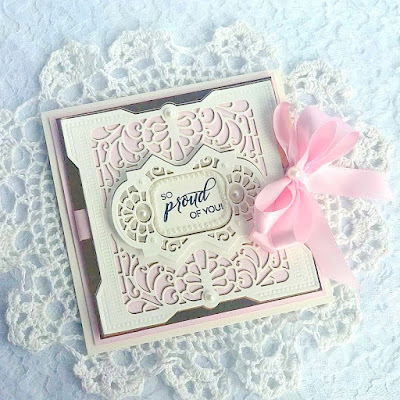 Today I am using the Antiquities Square Etched Dies for my card. Such a beautiful square shape. These Dies remind me so much of all my grandmother's costume jewelry I used to play with as a little girl. The large old pins, rings and necklaces. Just love the vintage look of these Dies. 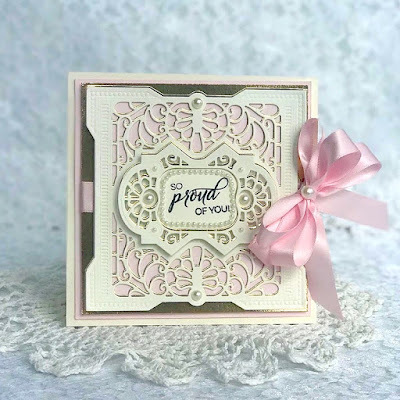 And don't forget, you still have time to join in on our Blog Hop introducing this new Collection and win a set of Becca's Dies. See post below! 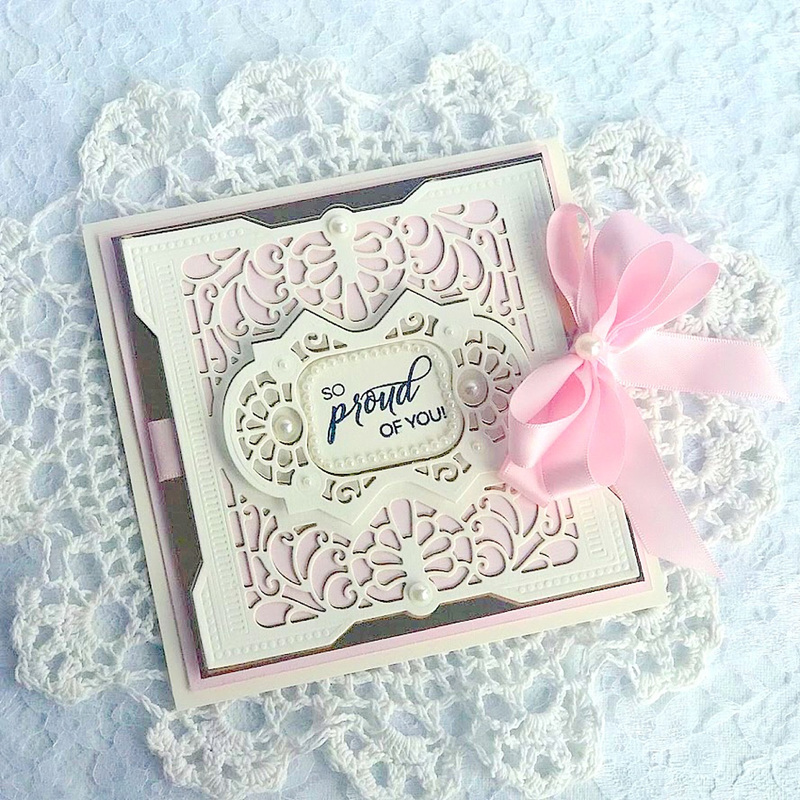 Such an elegant card Melissa... the layers are amazing... love the pink ribbon! Very pretty! Quite a lovely card Melissa. It looks so delicate you really showed off the details of the die.